Romantic, ethereal, easy - three attitudes together conjure up one aesthetic, bohemian! It’s a trend that millenials adore and it gets more appealing when applied to this generation’s other favorite thing - brunch! 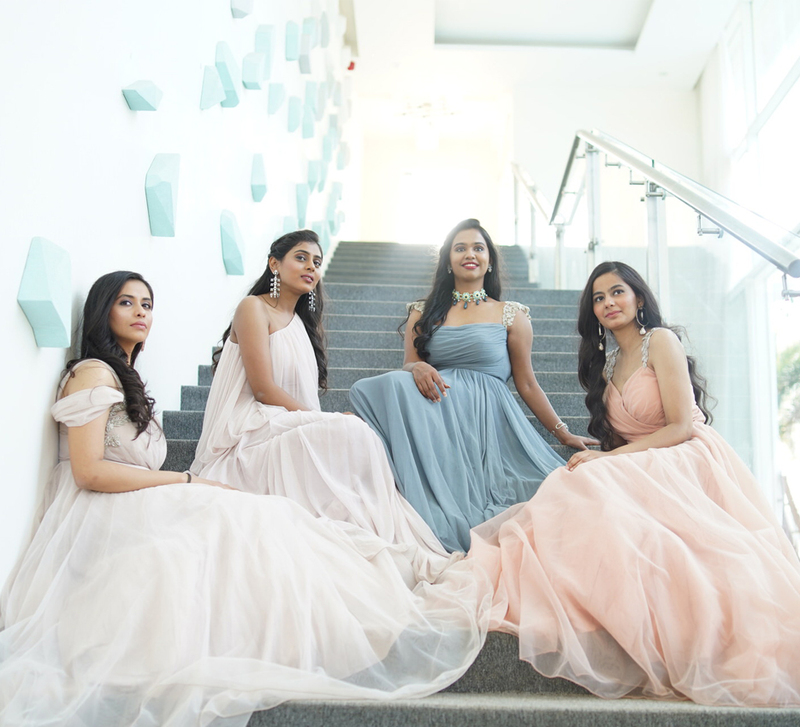 Shikha is your quintessential summer bride and along with her favorite girls, she threw the ultimate al fresco party that will have you fall in love regardless of whether you’re looking for inspiration or just some gorgeous pictures. As the seasons shifted and temperatures soared, the girls had mercury rising as they stepped out in outfits by Mahima Mahajan. The ensembles were characteristic of summer styling - floral patterns, accented by delicate embroidery. The girls’ season-smart makeup was by Vrinda Makhija and Tabeer Amrohi who created wonderful looks using premium products from L’Oréal Paris. The L’Oréal Paris Color Riche Matte Lipstick is packed with deep pigments giving their lips a flawless finish. The brand’s long-wear formula was victorious even in the heat of the afternoon sun. Before the final reveal, the sparkle in their eyes was matched with shiny baubles from Labels of Love which are a perfect blend of ethnic and contemporary aesthetics. The lush open spaces of JW Marriott Mumbai Sahar served as a beautiful canvas on which Team Memorabilis painted a balmy extravaganza with bright hues and elements from India Circus. 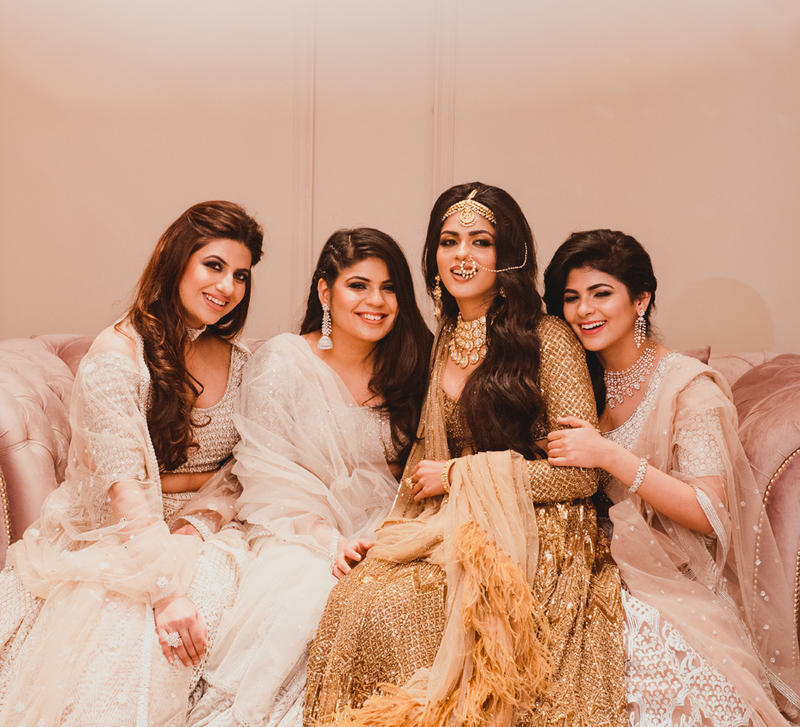 The gorgeous girls, the stunning venue and the wonderful vibe were all captured in striking frames by Picture Perfect India while The Wedding Diary preserved the memories on film. The squad could barely contain their excitement as they spoke to us! “Vrinda was flawless with my hair and makeup! I was thrilled with her work. And the products she used were very impressive too! The pigmentation and longevity of the L’Oréal Paris Color Riche Matte Lipstick – Beige Couture was amazing! Its creamy texture had my lips moisturized throughout the day. Thanks to this shoot, I’m considering buying the L’Oréal lippie soon! “For most people, summer style implies light-colored clothing and muted makeup. What I loved was that Tabeer Amrohi reminded me that bold colors can be exceptionally beautiful in the warmer months! Under the hot sun, her choice of the L’Oréal Paris Color Riche Matte Lipstick - Crimson En Scene was on point. Not only was the color unique but it was also very long lasting. We were shooting outdoors on a hot day and it stayed intact. “I was so pleased with my entire look! My gown was so elegant and then Vrinda’s makeup had a fresh, summery vibe to it! And the lip color was my favorite. I wore the L’Oréal Paris Color Riche Matte Lipstick - Rouge A Porter which has the most gorgeous rosy hue. The texture was smooth but what really stood out was that the color didn’t fade even slightly despite us shooting outdoors, in the sun, the entire day! “I’m very interested in makeup and stay updated about new trends and techniques and I was very pleased with Tabeer’s work! The way she created my look was very similar to the way I do my own makeup except for that fabulous lip color she picked! It’s more daring than my go-to shades and it looked fabulous. The L’Oréal Paris Color Riche Matte Lipstick - Maple Mocha is going into my makeup arsenal immediately! Big days and brunch dates are better with the bridesmaids! Raising a toast to love, laughter and happily ever after! She said “Yes!” to him, so they said “Yes!” to her! Summer squad - raising the temperatures sky high! Five femmes and an al fresco feast! Life is good!